- to answer the question"
have I the food I wish for ? " Search, List of food, Details, Settings, Helps. With iPhone : a research screen. 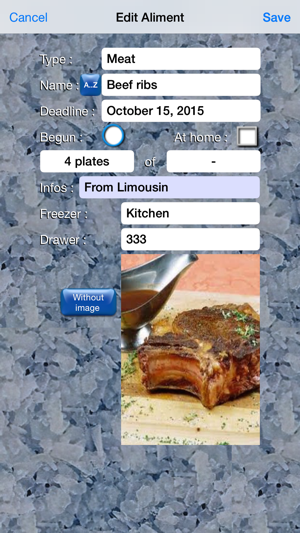 With iPad : the research screen and the result list of foods. - Type of the food ? and among 4 extended kinds. - In what freezer(s) ? - In what drawer(s) ? - Is the best before date respected ? - The freezing is made by us even ? - The quantity is under a defined minimum ? (For foods having to be resupplied). - The food is existing or is archived ? 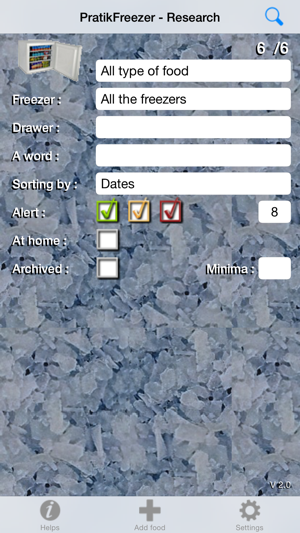 - The selection is sorted by Dates / Names ? - The total of existing or archived food. 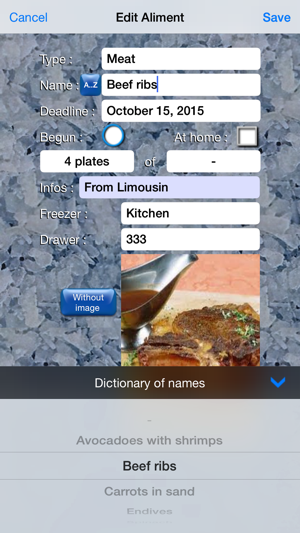 We obtain a foods selection which are displayed according to a list in the iPhone standard. in which freezer and in which drawer ? The description of a food can be archived to minimize the seized again. We can archive a whole selection. We can erase a whole selection. it can be chosen in a dictionary. The new names enrich the dictionary. all the existing and archived food. 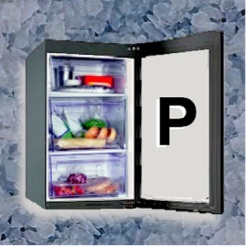 In the first launch, 2 empty freezers were created for you. with the security code "imp-us"
We thank all the testers and those who proposed evolutions. the selection screen is modified immediately. The quantity is under a defined minimum ? "Days Alert" is now a criterion. We can Archiving/Erasing a selection list. The measure '-' is not displayed. Doing an undo after a wrong import. The import code " imp-us " is always valid. 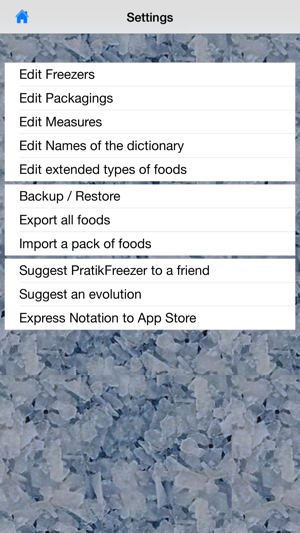 (for the first PratikFreezer tests).